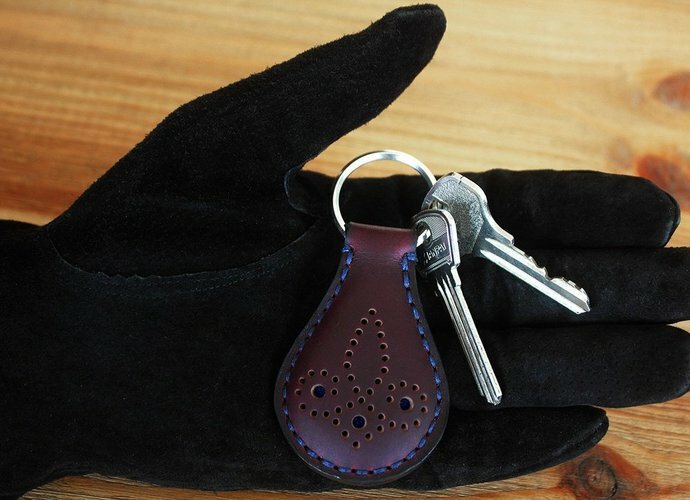 Original key fob with a brogue pattern. Made from Burgundy Horween Chromexcel leather with blue suede leather inside. Also available in Black and Sand colors. Stitched by hands, edges are polished. The key fob comes in a gift box.